Your personal credit score is a factor in your small business credit profile if your business has a short financial history. Financial lenders will normally request both owner personal and business credit reports as part of any loan evaluation process if less than two years in operation. Why? Your personal credit score history is considered a strong indicator of how your small business will honor and repay its future debts. It is in your best interest as the business owner to improve your personal credit score to enable your business to leverage the various advantages of a strong financial profile. If you need to improve your personal credit score, you need to come to terms with the fact that there is no such thing as a quick credit report fix. How long it will take to fix your personal credit score will depend upon why your credit score is low in the first place. For example, it will take longer to rebuild if it is related to a loan default or personal bankruptcy versus having been late on a series of credit card payments. 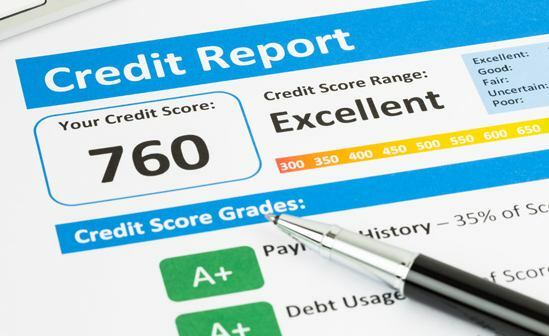 First step to move forward is to get a current copy of your personal credit score report from the three major credit bureaus: Experian, TransUnion and Equifax. You can request a free report annually. You should review to see if there are errors between the three credit bureaus reports. If there are errors that require correction, you should dispute them immediately since these will adversely affect your personal credit score. You can request the credit bureaus to correct them, which will require paperwork, time and patience on your part or contract with a third-party to coordinate and speed up the process. Your payment history is a key factor in determining your personal credit score. It is a precursor to any future debt payments and affects your small business financial profile. You should pay all delinquent accounts, get them current and continue to maintain them in good standing. You should budget that all accounts receive their minimum payments. As the smallest account is paid off, you should reallocate your budget to the next smallest balance and continue the process. Your credit utilization ratio reflects how much you are using the available balance of credit (normally your credit cards or a personal line of credit) extended to you. The lower the ratio, the more likely you are paying off your balances on time and represent a lower risk to a financial lender. Hence consistent payments on your credit balances will improve your personal credit score. When you apply for new credit, your personal credit score report will record the application as an inquiry indicating that you are taking on new debt. This will reduce your personal credit score, even if you decide not to go through on the application. If you need to assume more debt, use your existing sources of credit, which will allow you to demonstrate that you are managing your credit responsibly. If your recurring credit account payments are current, and you have paid off your non-recurring accounts (No. 2 and 3), you may consider requesting a small loan designed to help you establish new credit or repair your personal credit score. These credit builder loans are modest in size ranging from $500-$1,500 and are available from some credit unions and banks. Since the sole purpose of this option is to allow you to improve your personal credit score, you must make your loan payments consistently on time. A small business owner’s personal credit score will affect the business’ financial profile. Improving a personal credit score will offer advantages to the business in terms of availability of financial resources and their associated costs. Repairing your personal credit score takes, time, discipline and energy but it an effort well spent for both the owner and the small business.